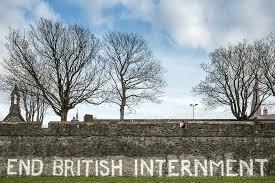 This is a word that in 2018 people are hesitant to use, it has an emotive history in Ireland, where hundreds of people in the 70’s had been wholesale subjected to internment. There are even those who somewhat support Tony who are at pains to avoid using this word when talking about Tony’s case, yet anyone with the faintest knowledge of British abuse again Irish Republicans will know that internment is exactly what Tony is a victim of. It is no secret that Tony Taylor is an ex Republican political prisoner and indeed is still a proud and active Republican. Tony had served a number of years in gaol in the 90s and also 3 years more recently and was released in 2014. 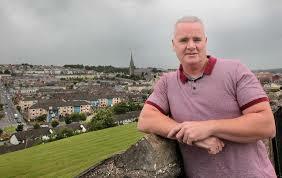 Tony was a member of Republican Network for Unity, a perfectly legal Political organisation and he contributed significantly to the local politics in Derry raising issues such as benefit cuts, prison conditions and policing issues. It is precisely this, Tony’s politics which has led to his internment. Ireland in 2018 is a cold house for Republicanism, anyone who doesn’t rubber stamp the good Friday agreement is a threat to the state, state sanctioned harassment is a daily occurrence for Irish Republicans and in Tony’s case it would seem to me that the extreme of internment has been used against him to try and make him toe the political line. Of course we have seen this before, in the last few years a number of high profile interments have taken place such as that of Martin Corey, Marian Price, Gabriel Mackle. Tony is just the latest victim and undoubtedly he won’t be the last. The revocation of Tony’s licence is justified ostensibly with the line that he is a “risk to the Public”. Any justification they are using to intern Tony is of course subject to secrecy with neither Tony nor his legal team able to see any evidence against him, which of course means he cannot be defended against any allegations. The current climate worldwide allows governments to act in this secret and abusive way, the general public are happy to believe that these “measures” are taken for their protection that “they” must have a good and valid reason for doing it and that is as far as their thinking goes. This apathy of the general public is essential for governments carrying out this sort of abuse and so it’s up to us all to highlight to the general public why they should be concerned, such is the apathy that these secret agencies do not even need to go through the bother of creating trumped up charges. Tony Taylor is a victim of the secret Police and agencies working in Ireland, instead of transparently enforcing the rule of law and being subject to public scrutiny as ordinary police agencies do, their modus operandi is to operate beyond and above the law in order to suppress political dissent, anyone who comes under the scrutiny of the secret police can expect to be arbitrarily arrested and detained without due process. The internment of Tony Taylor strikes at the very heart of democracy and the right to a fair trial. The use of secret evidence and secret police is not something that anyone would expect in the western world in 2018, yet it is going on in Ireland; this should be enough for any citizen to publicly question what is going on. As Tony is subject to internment based on secret evidence, the Brits in their wisdom have saw fit that a special advocate should be appointed. The special advocate process for a lot of people is confusing, not fully understanding what the process entails, and of course this suits the state just fine, it means that the State can say that someone unbiased is seeing the evidence, that they have real cause to keep Tony interned, it keeps the public happy and allows them to say that they have a fair system. Well let me break down for you exactly what a special advocate actually is. A special advocate is a person who is appointed by the STATE to hear secret evidence on your behalf, this person is NOT allowed to discuss this with you or your legal team. So essentially the state which is detaining you, appoints someone to hear evidence on your behalf without consultation with you or your legal team, and we are supposed to believe that they will challenge anything that is not right! This goes against natural justice, every man has the right to know his accuser and know at least what he is accused of, not some random person appointed by the state that is detaining you, that you don’t know and have no reason to believe is acting in your best interests. It is now time that the media investigated this case thoroughly, that those concerned with human rights demand an explanation as to why Tony Taylor has been taken from his home and incarcerated due to secret evidence that we cannot see. 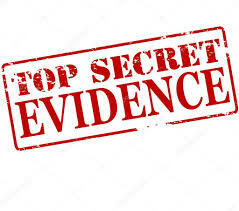 I question the secret evidence, is there evidence at all? Or is this a well-rehearsed ploy to stifle political dissent?